Our padding is made with the finest quality materials, all carefully selected to guarantee lasting support and wear resistance. Elastic memory is what enables padding to return to its original shape after being stretched, compressed, or otherwise distorted. 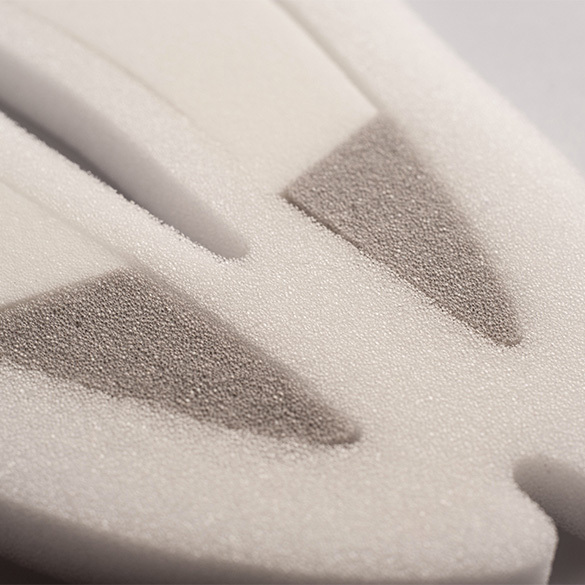 One of the hallmark qualities of our foams is an excellent elastic memory, a feature of all Elastic Interface® cycling pads: this enables the foams to return to their original shape after being compressed to guarantee protection for cyclists ride after ride. Reliability is synonymous of quality. The materials we select and develop are engineered to keep intact their characteristics over time, for long-lasting support and protection. We use open-cell polyurethane foams for Elastic Interface® pads. Open-cell foams allow the air to pass freely between the cells and sweat is absorbed and wicked away more quickly. When the air flows freely, the skin breathes more easily and stays drier; this means enhanced comfort, less sweat and fewer rashes. Foams only provide support if they have enough compression resistance to counter the load and prevent bottoming-out; the higher the density, the more weight or force is needed to deform the foam. This is why it is so important to have high-density foams especially on long-distance rides: the longer the time you spend in the saddle, the greater resistance the foam needs to have to counter the rider’s weight. Foam density is not measured by weight; it is a measurement of mass per unit volume and we use kilograms divided by cubic metres (kg/m3). 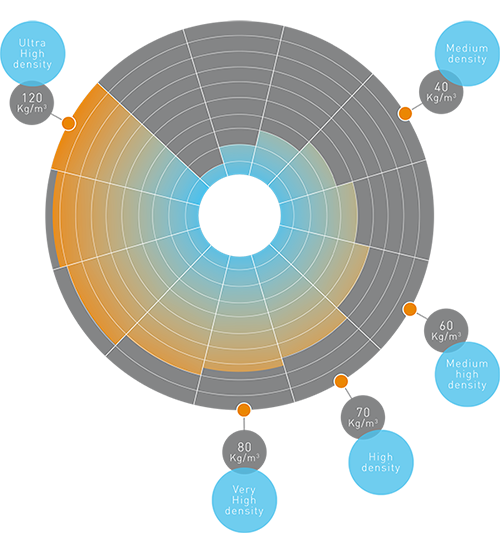 Our pad density ranges from 40 kg/m3 up to 200 kg/m3 in the Hybrid Cell System. 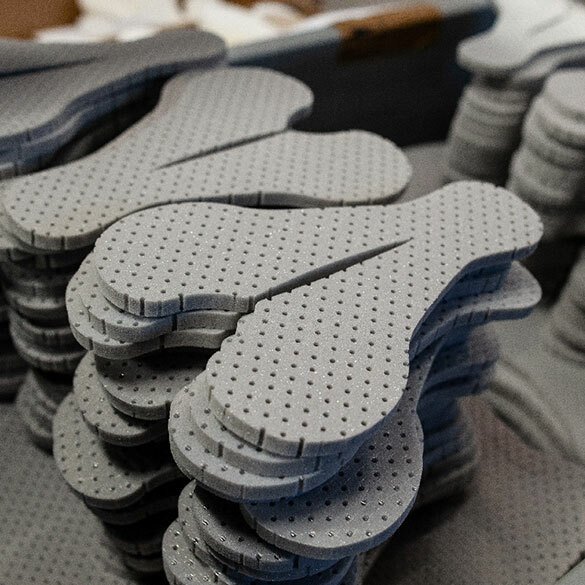 Tasked with choosing the right combination for each pad, our research and development team analyses the qualities of the foams and creates the perfect mix for every product. We choose lower densities foams for shorter distances requiring intense exertion, and increase the pad density for long-distance disciplines as riders need maximum protection guaranteed when spending so many hours in the saddle. Quality raw materials and continuous controls are at the core of our choice when selecting paddings for our chamois. The cutting process starts with a positioning plan, which helps to optimize the consumption of raw materials. We cut our paddings and we don’t shape them starting from big lots, because we want to make as less production waste as possible. Constant monitoring and controls on raw materials allow us to use foams that are regular in specifications and characteristics, leading to less post-production wastage. This cutting process produces around 40% production waste less than other padding-making processes. 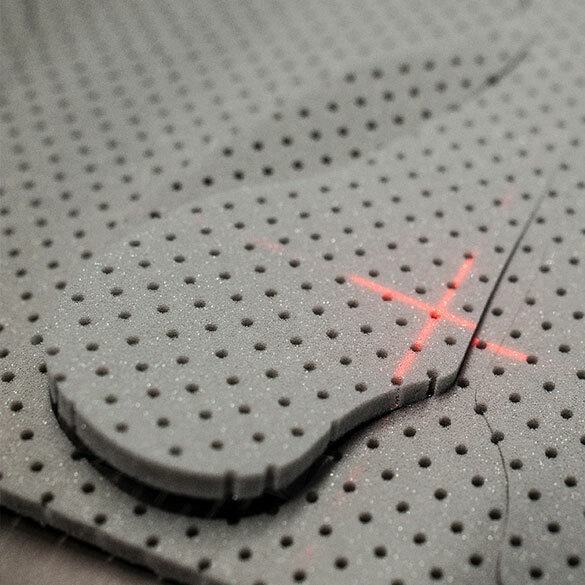 Elastic Interface® uses highly breathable foams in all top layers of its cycling pads, which is the layer that mostly needs to be breathable. 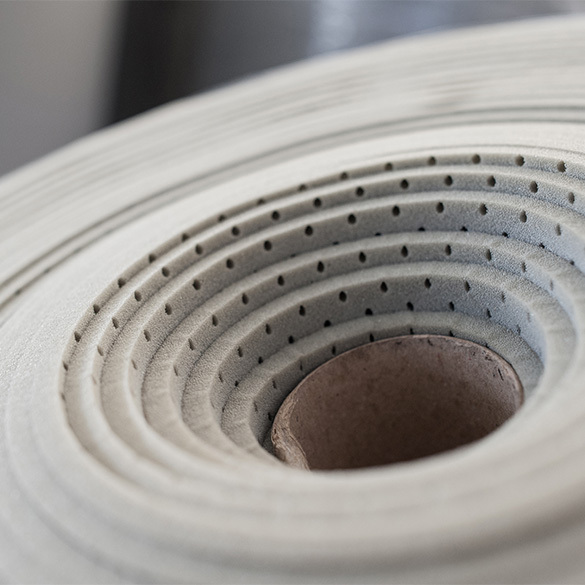 These foams help to reduce heat and they let air pass freely; on the other side, paddings are not made with highly breathable foams, because they need to be protective in the first place.The newest padding at Elastic Interface® is the innovative HYBRID CELL SYSTEM. It features a mixed-cell structure that delivers unprecedented elastic recovery, and the 200kg/m³ density supports cyclists even in extreme situations like ultracycling.